Call me Amy Winehouse, because I went back to Black(pool)'s Winter Gardens to take in another spectacular show this week. 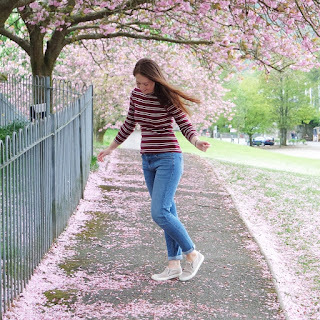 I'd previously been lucky enough to review Sister Act and Dirty Dancing, and once again, the staff and venue made me feel so welcome and showcased proper Northern hospitality. I was particularly excited to see Hairspray UK Tour, as I love the film and saw the musical tour once before. On the surface it's the cheesiest musical around, with bright colours, big hits, and toe tapping routines, but scratch it and you'll find stories about achieving dreams and overcoming obstacles along the way. If you've seen and loved the film, you'll enjoy the tour even more, as it offers songs and scenes that aren't in the motion picture. The main character, Tracy Turnblad, is a girl with big hair and even bigger dreams, and she won't let anything stop her achieving them. It's impossible not to be swept up in her determination, as her fellow characters find. I was amazed to read that Rebecca Mendoza was playing Tracy as her first professional role, as she embodied the character wonderfully, and brought a cheeky attitude, a tonne of strength, and a voice that gave me chills. 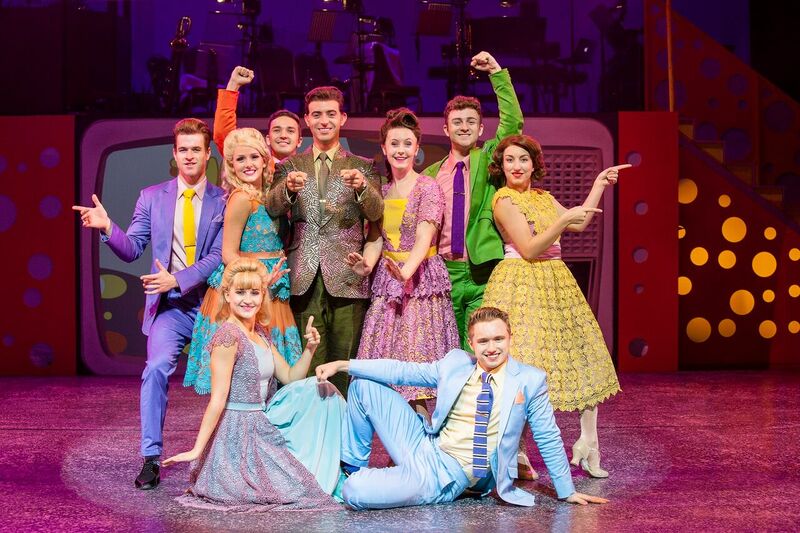 There are some big numbers in Hairspray, and the cast was perfectly chosen to fulfil them. Alongside Mendoza, Brenda Edwards shone as Motormouth Maybelle, and Gina Murray played an outstanding Velma von Tussle. Their solos were utterly brilliant, and held the whole audience completely captivated. The men of the hour didn't disappoint either, and matched the ladies in energy and talent. There were some big boots for Daniel Clift to fill as he stepped into the role of Link, who was played by Zac Efron in the film, but Clift had them overflowing on the night! 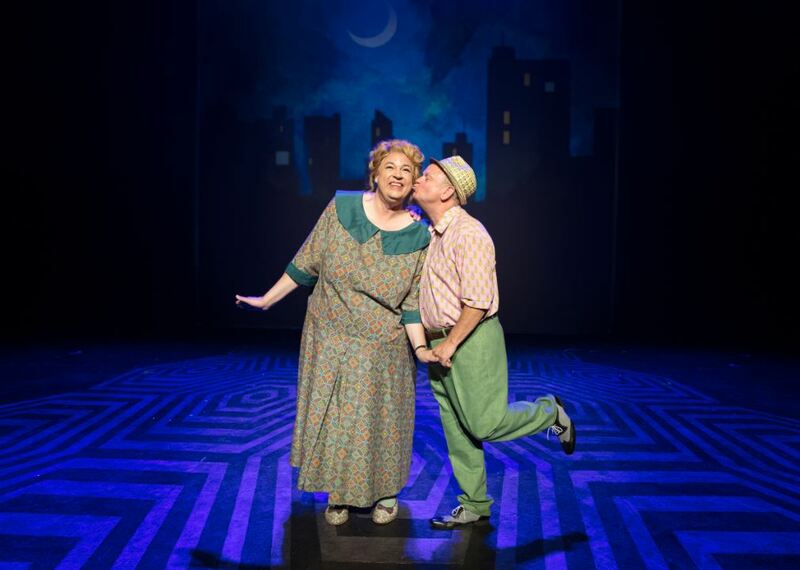 Rather than being a heroic, macho male love interest, Link is actually led by Tracy, which is a refreshing change, and the chemistry the actors forged was both exciting and endearing. Corny Collins, played by Ben Darcy, had some dry, witty lines, and the comedy was most definitely continued by Norman Pace and Matt Rixon as Tracy's parents. One scene in particular had us laughing so much that they couldn't help themselves and joined in for a quick giggle before snapping right back into character and illustrating a loving, supportive relationship, both as a couple and as parents. Some of their jokes were a little cheeky, but the audience loved it, and the lines helped to make it a musical that all ages will enjoy. 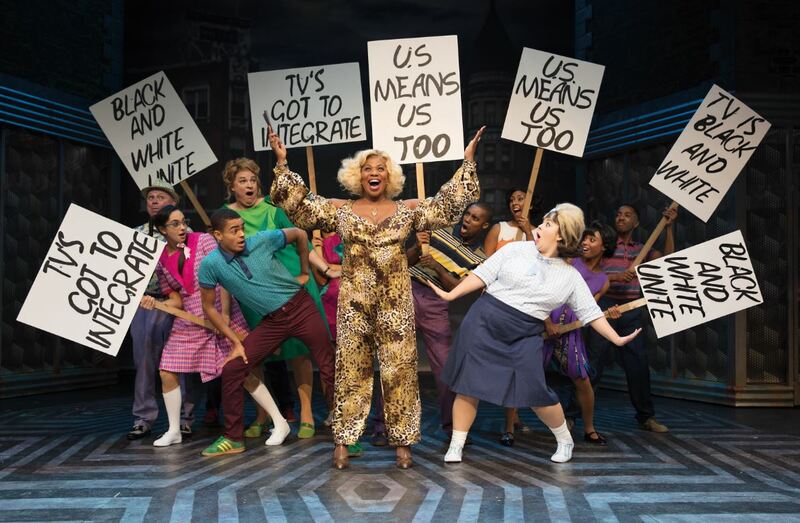 I've sometimes found that actors of colour can wrongly be relegated to the background and only cast for gospel style singing, but in keeping with the tale of Hairspray, the actors in this performance were here to shine, with Layton Williams and Monifa James sparkling as Seaweed and Inez, siblings with a dream to be seen on the Corny Collins show every day. Williams hails from the North West, which made me all the more proud to see him bringing smooth lines and sharp acrobatics to the Blackpool stage. Speaking of sparkling, I adored the stunning sixties style costumes. 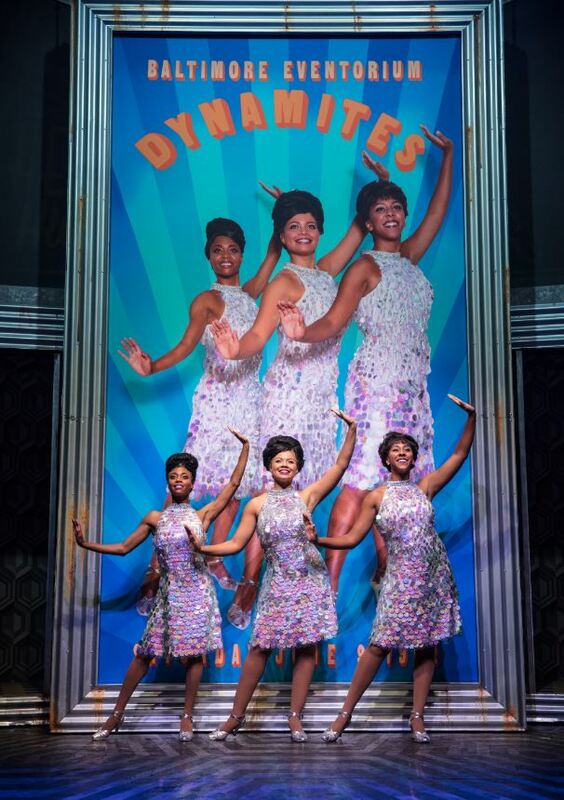 The main cast wore bright dresses and suits, and The Dynamites were dressed in the most beautiful rainbow gowns, made from pieces of iridescent fabric to beam and twinkle under the technicolour lighting. Without a doubt, they were one of the most fabulous pieces of costume I've ever seen. The costumes worked so well with the incredible dance routines in the performance, twirling and glittering with every move, and every cast member brought the same high energy and enthusiasm to their last step as their first. Throughout the show they truly gave it their all, and this wasn't missed by the audience. Sadly a lot of people sat through it without so much as clapping the beat, but those of us who did get involved made up for it- one man even had a dance routine, and another threw a bouquet of roses! 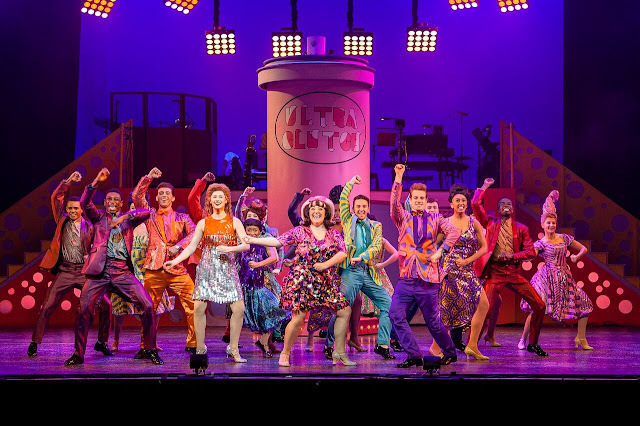 It might not be for everyone, but for me, Hairspray is a show that calls you to shed your inhibitions and join in the fun, and this cast were too infectious for me to resist. Try as I may to do justice to this incredible performance, the real testimony came when my mum, who hates musicals (I know), turned to me in the interval and said "I love it. I absolutely love it.". She even sang and danced with the best of them! I really would urge anyone to go and see the show. Between the actors, the script, the set, and the live musicians, there isn't a dull moment, and the whole family will leave with a lighter heart and a bigger smile. Tickets were kindly provided by Winter Gardens Blackpool in exchange for review. All opinions are my own, please read my disclaimer for more. I want to watch this with my daughter. 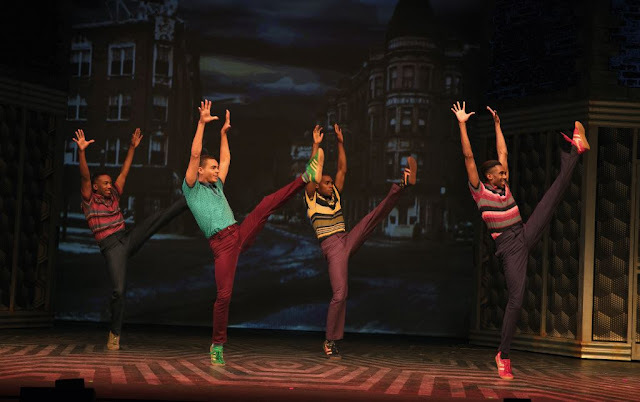 My favourite musical is Billy Elliot the musical Live. Wasn't fortunate to get to go and watch it but I've got it recorded of sky arts and I think it's amazing!